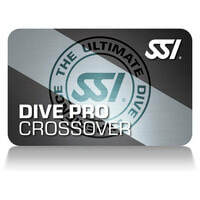 At Endless Oceans we can offer all levels of Dive Pro Crossover, the SSI Crossover program provides an introduction to SSI philosophies and procedures for dive professionals from other recognized scuba training agencies. Candidates will be provided the knowledge and skills needed to conduct SSI programs equivalent to their existing qualifications in a safe and enjoyable manner. If you are interested in crossing over at ISO 24801-3 "Dive Leader" or ISO 24802-1 "Instructor Level 1" we can organize crossovers on an "as and when" basis, those wishing to cross over at higher levels should contact us for scheduling.